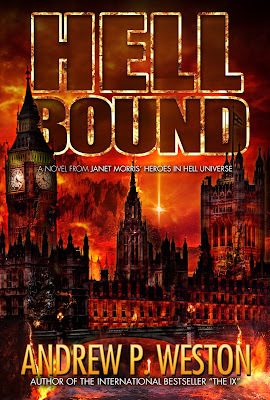 The author of Hell Bound (released this Halloween), is on a blog tour! Thanks for guest blogging, Andrew Weston! So who is he? What is Hell Bound? Is Daemon Grim coming for us? Below are his own hellish answers, an excerpt, and a book giveaway link! First, who is Andrew P. Weston? 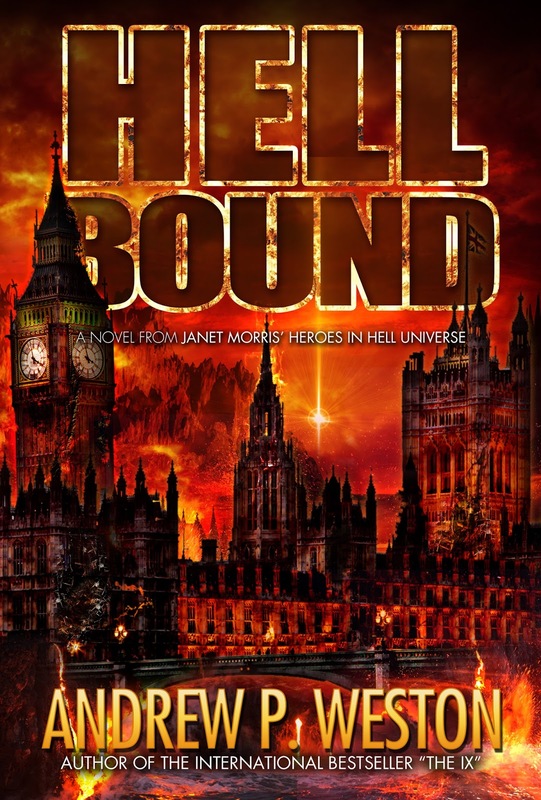 Hell Bound is part of the Heroes in Hell universe, which is a series of shared world fantasy books, within the genre Bangsian fantasy/horror, created and edited by Janet Morris and written by her, Chris Morris, C. J. Cherryh and others. The first 12 books in the series were published by Baen Books between 1986 and 1989, and stories from the series include both Hugo Award winners and Nebula nominees. 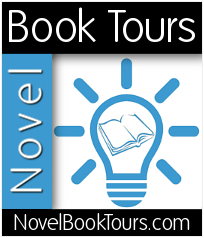 Janet continued the series through her own publishing company – Perseid Press – from 2011 onward with, Lawyers in Hell, followed by five more anthologies and a novel since then. The shared world premise of Heroes in Hell (also called The Damned Saga) is that all the dead wind up together in Hell, where they pick up where they left off when still alive. The Encyclopedia of Fantasy states "In the long series of shared world adventures begun with Heroes in Hell, Hell becomes an arena in which all the interesting people in history can come together to continue the relentless pursuit of their various ends.” Brian Stableford commented that the series "adapted the backcloth of Dantean fantasy as a stage for violent adventures with ironic echoes of infernal comedy. Hell Bound is simply an extension – a continuation of an ever expanding theme. It follows the exploits of Satan’s chief bounty hunter, the Reaper, as he hunts down fugitives from injustice. Of course, with some of the most infamous souls in all history up to no good, you can only imagine the problems that can and do arise. When devising the character of Daemon Grim, I thought one of the best ways of integrating him – and indeed his entire crew – into the already established universe, was to ensure their “solo’ adventures run in tandem with what’s happening in the anthologies. So, Grim was introduced to us in Doctors in Hell, where we found him on a special mission to recover something very precious to His Infernal Majesty. Hell Bound begins at the conclusion of that very same mission. The next anthology will pick up several months after Hell Bound. 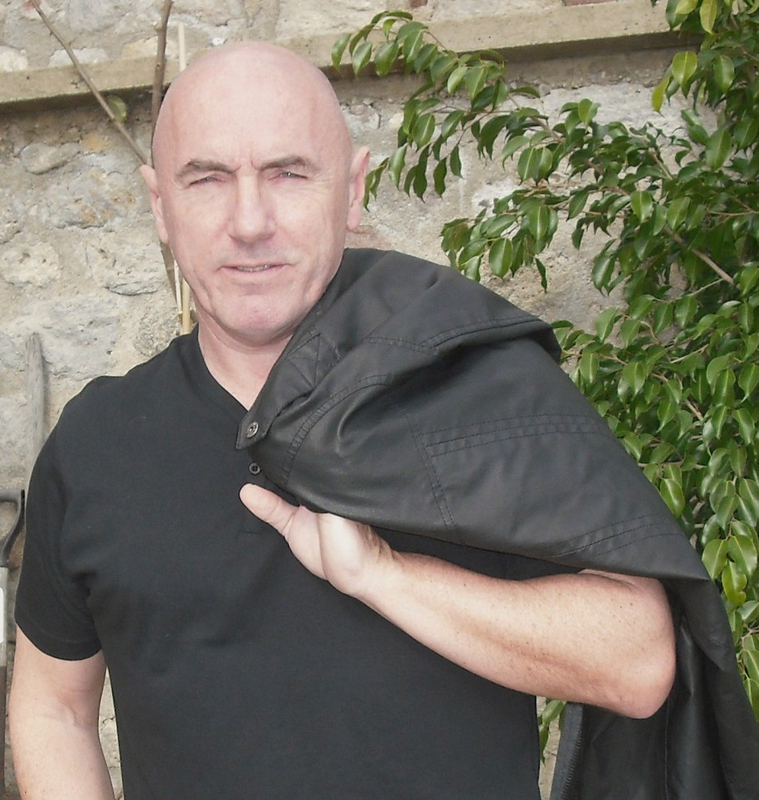 Hell Hounds – the next solo novel – commences where that anthology ends, and sets the scene for the next HIH adventure. In hell, none of the condemned believes they deserve to be there. And that’s fine, so long as they’re not foolish enough to try and do anything about it. For those that do, there’s always Satan’s Reaper–and chief bounty hunter–Daemon Grim. Feared throughout the many layers of the underverse, no one in their right mind dares to cross him. However, when Grim discovers that someone has attempted to evade injustice, and seems hell-bent on gaining access to ancient angelic artifacts proscribed since the time of the original rebellion in heaven, circumstances point to the fact they may be doing just that. Thus begins an investigation that leads Grim throughout the many contradictory and baffling levels of the underworld, where he unearths a conspiracy that is not only eating its way like a cancer through the highest echelons of Hellion society, but one which threatens the very stability of Satan’s rule. As you can imagine, Grim’s response is bloody, brutal, and despicably wicked.